Looking to Buy Long Term Care Insurance in Mankato? The good news is people are living longer. The bad news is we’re getting sick as we age and long term care can be expensive. Currently, 80% of long term care is provided within the home.1 Most people prefer to receive care at home as long as possible, but those costs are increasing. Genworth Financial’s recent release of their 14th annual Cost of Care Study indicates that national average costs to obtain a home health aide are up an astonishing 6.17% since 2016.2 Mankato hasn’t escaped this trend, with local home care costs of $5,148 per month exceeding the state average of $4,957 per month. It may come as a surprise that Minnesota’s cost of care is considerably above the national average in several categories. 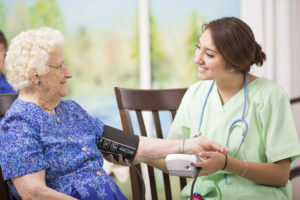 In fact, the Mankato area in particular is home to some of the highest costs for homemaker services and private room nursing home care in the state. Meanwhile, average costs for private nursing home care statewide come in at $8,988 per month, while Mankato residents can expect to pay about $9,891 for the same service.